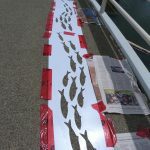 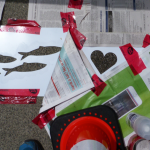 Salmon on the Bridge celebrates the importance of salmon in our world. 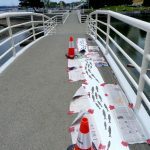 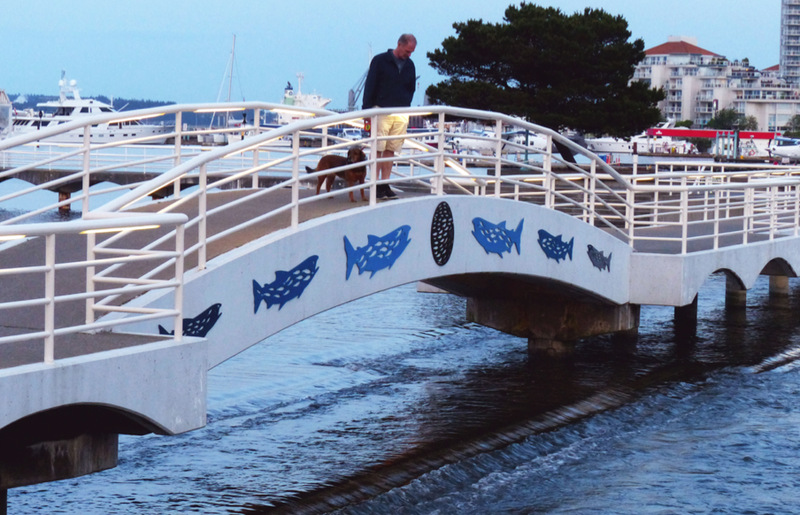 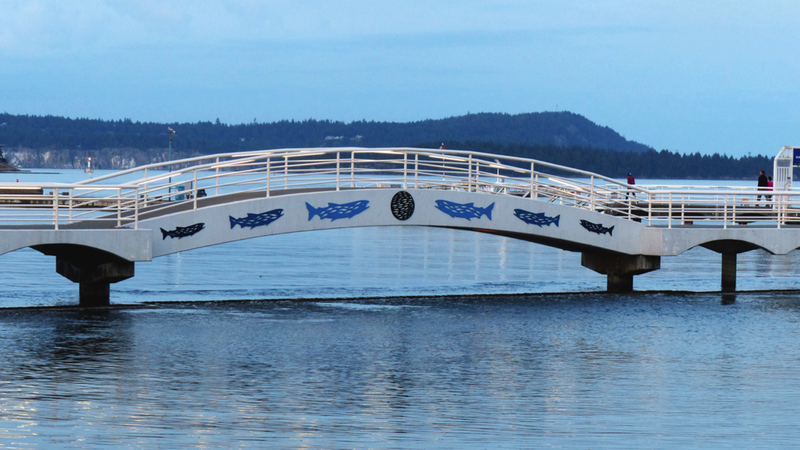 This artwork is located on the bridge at Swy-A-Lana Lagoon in the heart of Maffeo Sutton Park in Nanaimo, BC. 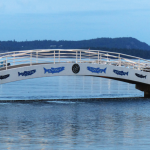 The salmon are swimming towards a herring ball in the centre of the bridge. 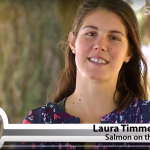 Swimming through the salmon are feeder fish (herring, sardines, etc.) 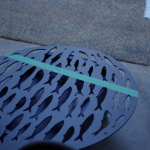 who play a fundamental role in our ecosystem. 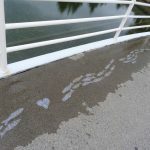 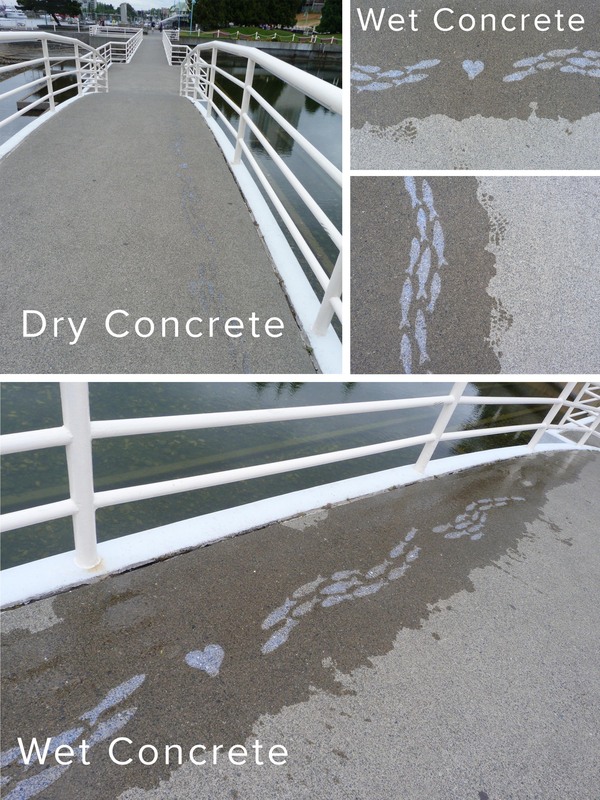 Visit the bridge when it is raining, and you will see small fish appear on the wet sidewalk. 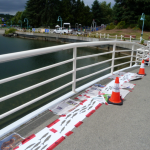 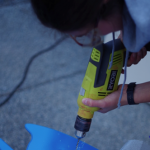 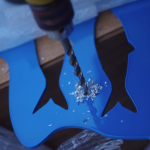 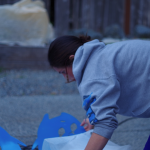 This highlights the importance of rain to the fish’s lifecycle.